treet railways arrived early in Portland and made lasting social and economic contributions that are still apparent in the layout and character of the city’s neighborhoods today. During the 1890s, streetcar lines spread rapidly into the West Hills and across the Willamette River. The technological prowess of the growing “Rose City” was reflected in the largest horsecar in the Northwest, the second steepest cable car grade in the nation, the first true interurban railway, and an annual illuminated trolley parade. 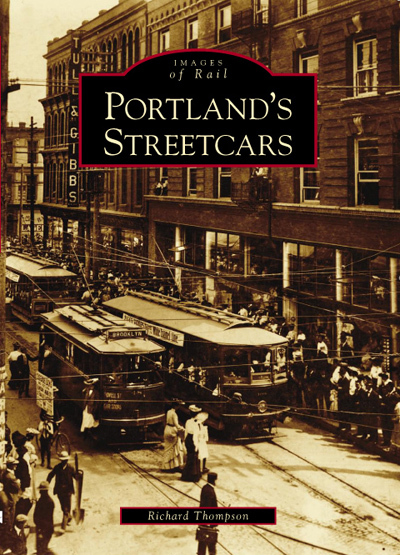 By the dawn of the 20th century, Portland could boast of the largest electric railway system in the West, as well as its first eight-wheeled streetcar. The streetcars lasted into the late 1950s here, and then, after a hiatus of nearly 30 years, were rediscovered by a new generation of urban planners.